Joel Greene here from Condo Hotel Center. For the past year or more, we’ve been pleased to offer to you heavily discounted condominium units in the South Florida market, allowing you to capitalize on great deals resulting from the real estate economic crisis. Amazingly, in a very short time, close to 90% of the condo inventory that flooded the market in recent years has already been absorbed. The South Florida market, and Miami’s in particular, has been a hotbed of activity. It has attracted buyers from around the U.S. as well as international buyers, many from Latin America, who recognize the values of Miami-area condos far exceed the current prices. As the days of excess condo inventory in Miami ends, we’re starting to see some interesting opportunities and plans for new construction. The property I am featuring today, for example, is MyBrickell, a to-be-built condominium. It will have a cutting-edge design, a prestigious address and a great location in downtown Miami. And best of all, MyBrickell has affordable prices, which can be locked in now in this pre-construction phase. Read on for the details. In total, MyBrickell will have 192 ultra-contemporary residences, including studios and one- to three-bedroom condominiums. A Prestigious Location Just Off Posh Brickell Ave. Residents of MyBrickell will be able to walk or grab the People Mover monorail and access the finest restaurants, shopping, parks and culture Miami has to offer. Brickell is home to the largest concentration of international banks in the U.S. and it also enjoys a reputation as Miami’s top destination for five-star hotels and restaurants. At its center, Mary Brickell Village is a social hub defined by restaurants, nightlife and boutiques. Situated in the middle, MyBrickell is near the planned Brickell CitiCentre, a $700 million development. 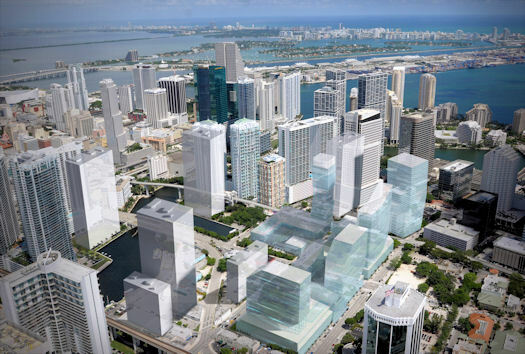 MyBrickell will also be strategically located next to the upcoming mega-project Brickell CitiCenter, a $700 million, 4.6 million square foot business and shopping district. It will encompass four city blocks of restaurants, upscale shops such as Harrods, conference facilities and elite hotels. 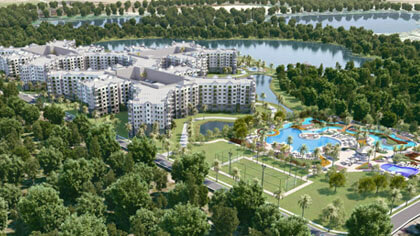 Construction is expected to begin in early 2012. Future development in the area also includes Resorts World Miami, a four-hotel waterfront resort, condominium and entertainment complex with 750,000 square feet of convention and meeting space; more than 50 restaurants, lounges, bars and nightclubs; and 60 luxury shops. Additionally, it is the proposed site of Miami’s first full-scale casino. MyBrickell will have a zero-edge pool & observation deck on the 25th floor overlooking Miami. Additional demand will be created when Brickell Financial Plaza opens in 2012 right next to MyBrickell. It will have 400,000 square feet and approximately 4,000 people, many of whom will likely want the convenience of living close to their workplace. Under the direction of Pérez, The Related Group has redefined the South Florida landscape. MyBrickell is just one of about 10 developments they have in Miami and Miami Beach along with other very successful projects like the Icon Brickell, Viceroy Hotel, 50 Biscayne and The Yacht Club. Amenities at MyBrickell include a state-of-the-art fitness center. MyBrickell is a collaborative product of world-class talent. 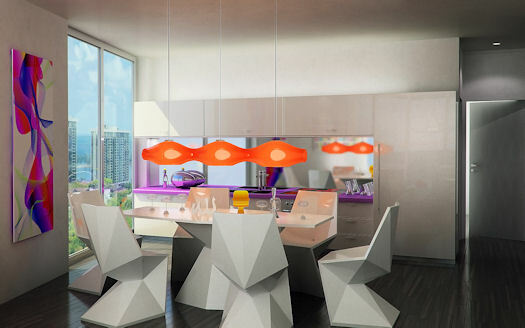 The designer is Karim Rashid, who has over 3,000 designs in production, spread throughout 35 countries. He has won over 300 design awards for his creations. The archictect for MyBrickell is Bernardo Fort-Brescia, FAIA, a founding principal of Arquitectonica in 1977. Arquitectonica has designed buildings in 40 countries from 11 offices around the world and is the leading architect in the Miami area. 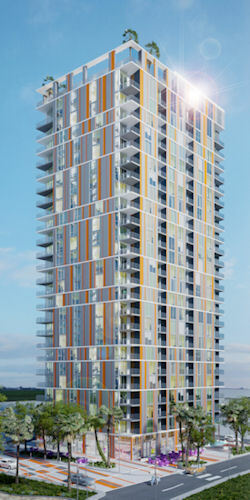 Construction on MyBrickell will begin February 2012 and is planned to be finished by the end of 2013. 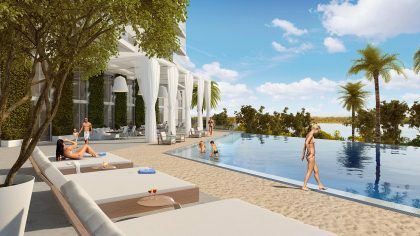 MyBrickell has just begun taking reservations for its 192 condos. Buyers can expect to go to contract in the first week of December. Unlike some projects that begin taking reservations but then must secure financing for the project, MyBrickell is not going to be financed through an outside source, but through the payments that buyers make on a payment schedule aligned with various stages of construction. Available are studios and one-, two-, and three-bedroom condos, ranging from 600 to 1,220 sq. ft. 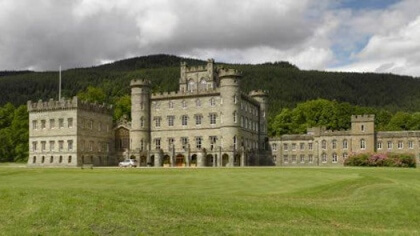 The developers purchased the land at a bargain price. This allowed them to negotiate construction costs and services for the building in bulk and then pass those volume discounts on to the purchasers. The condos range from 600 to 1,220 square feet. Delivered move-in ready, they will have exquisite finishes, imported fixtures and inspired layouts. Prices are surprisingly affordable, ranging from $178,000 to $408,000. 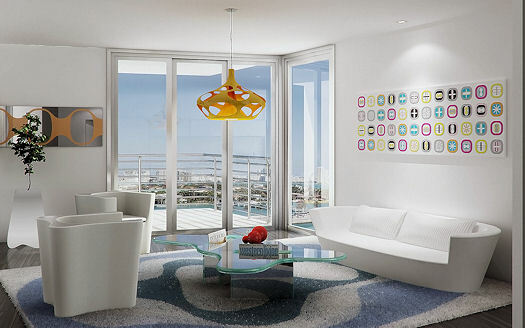 MyBrickell condos can be reserved now at pre-construction prices starting at just $178,000. I have lots more information on MyBrickell, which I’m happy to share in my detailed data sheet. To receive it immediately, you just need to provide your name and contact information, per the developer’s requirements. Request the MyBrickell data sheet here. I’m excited to see all the activity that’s going on in downtown Miami, of which MyBrickell is just one small part. The signs are positive, and that gives me reason to believe things are headed in the right direction.